Summer is great for going outdoors and energizing your soul. 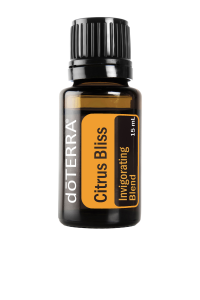 dōTERRA’s Citrus Bliss Invigorating Blend combines the powerful essences of Wild Orange, Lemon, Grapefruit, Mandarin, Bergamot, Tangerine, and Clementine with a hint of Vanilla Absolute to form a unique and harmonious blend to bring the outdoors in. Citrus Bliss is not only nice for uplifting your mood, but can also be mixed with water for a perfect solution for wiping down countertops and other surfaces while producing a fresh, sweet scent. 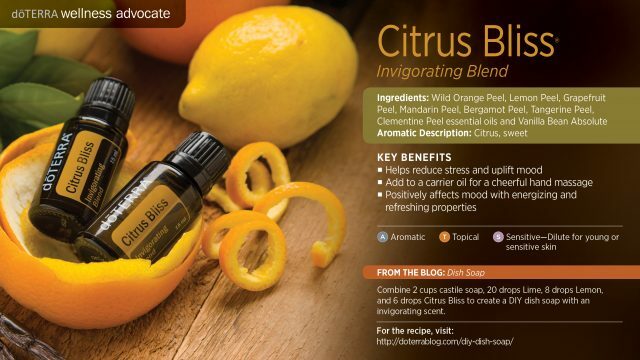 Use doTERRA Citrus Bliss by mixing 2 drops of Citrus Bliss with 2 drops of Lavender and 2 drops of Peppermint. Gently blend and apply to temples and inhale to help improve your focus. 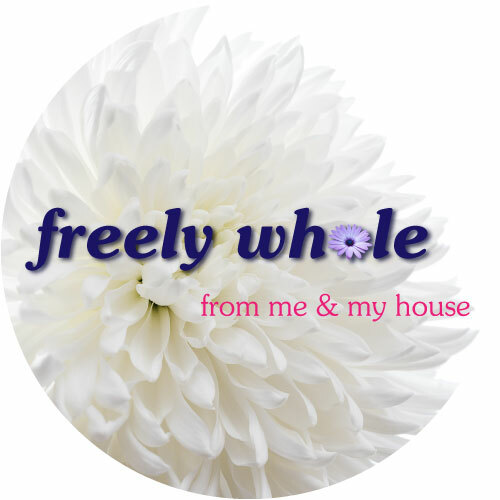 My favorite use for Citrus Bliss is to combine with Balance for a cheerful, even-keel day!